U.S. Secretary of Agriculture Tom Vilsack wants to change federal estate tax laws in order to create a new generation of farmers. 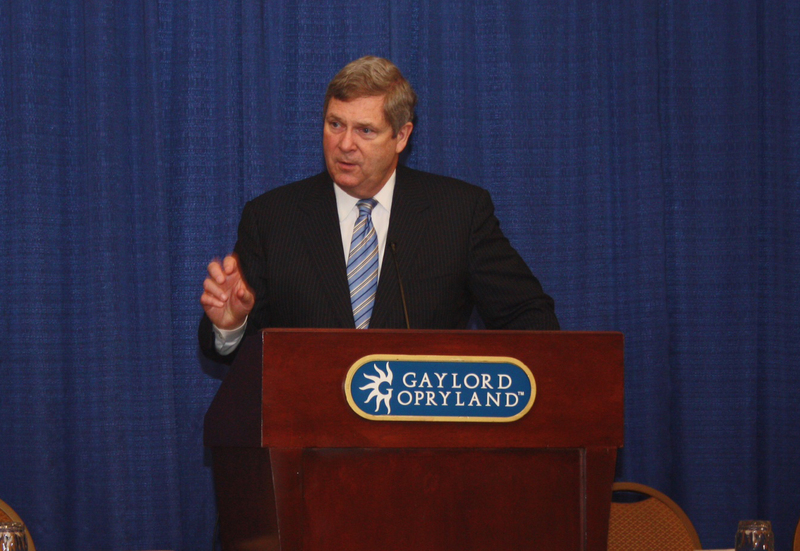 Speaking before the general session of the 2012 Commodity Classic at Nashville, Tenn., Vilsack said beginning farmers not only need better access to credit to get their operations under way, but need a tax structure that allows older generations to transfer property while they are alive. “Wouldn’t it be great to turn to your sons or your daughters or your grandsons or granddaughters, your nieces and nephews or the kid down the road and say this is an opportunity to make an honest and rewarding life on the farm. We need policies that will encourage and enable that,” Vilsack said. “Just as we need a new generation of teachers, of scientists and engineers, this country needs a new generation of farmers. With that remark, a voice from the crowd cried out, “Amen!” A round of applause followed. Vilsack then turned to passage of a farm bill. “In 2012, as we celebrate the 150th anniversary of the USDA and as we begin the conversation of a farm bill, I’d say the first and most important thing we can do is pass a farm bill and pass it now,” Vilsack said. Farmers need the certainty of a farm bill, he added, and it’s important for farmers to be engaged in support of the leaders of commodity groups as they express on their behalf the need for a farm bill now and not to accept from members of Congress or the Senate how hard this is going to be. The flagship of a farm bill, Vilsack said, should be a stable, secure crop insurance program. He made no mention of continuing a direct payment plan. “We want to make sure crop insurance is available to all producers. Last year, 55 million acres were struck by natural disasters.” Vilsack said. 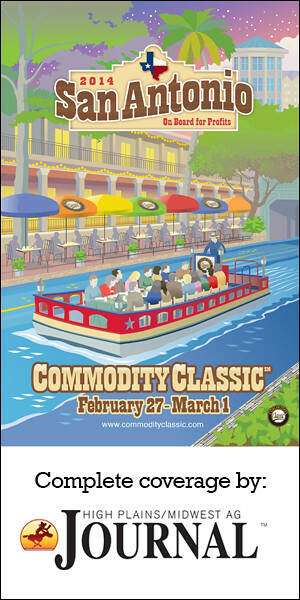 “We’ll pay out a record amount of indemnity this year and the companies will still make money. It’s a good system, a solid system, a system that serves you well. Over the last three years, we’ve paid out over $30 billion in indemnity payments. Vilsack also said the next farm bill needs a commitment to foreign marketing, in order to increase last year’s $136 billion in U.S. farm exports, creating a $42 billion trade surplus and adding thousands of additional jobs. Vilsack said that while it looked like there would not be much additional money added to assist in conservation programs, he could see how programs may be altered to be more flexible in the ways farmers could use them. Vilsack also said USDA is committed to further developing local food systems and innovation in creation of “bio-based” products to add value to farmers’ crops.